Gillian Tan’s research focuses on human-environment relationships in pastoral communities of the eastern Tibetan plateau. She has written on human-yak interactions and changes wrought by grassland policies and management. Her current projects explore the dynamic relationships among humans, non-human others, and environment from perspectives of historical and ethnographic analyses, including a recently-awarded Discovery Project on an environmental history of a Tibetan river. List of relevant publications: 2018. 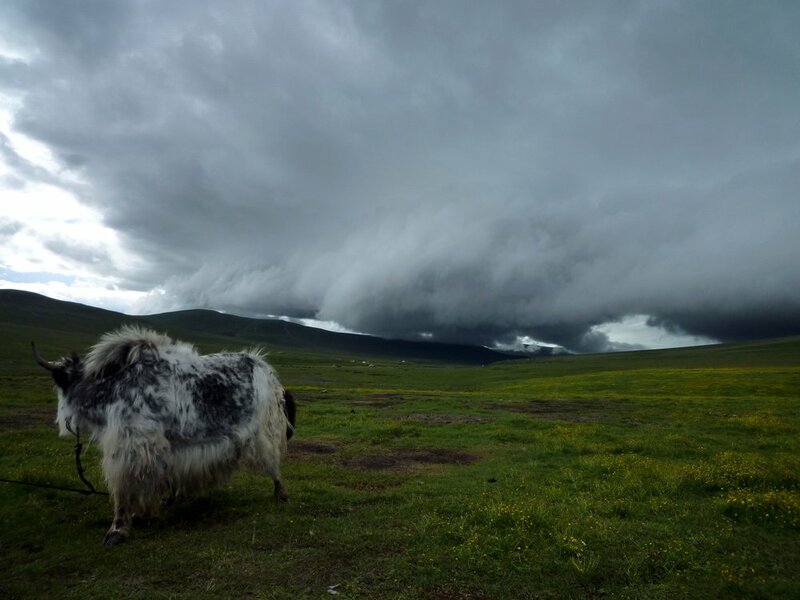 Pastures of Change: Contemporary Adaptations and Transformations among Nomadic Pastoralists of Eastern Tibet. Geneva: Springer Studies in Human Ecology and Adaptation. Associate Professor Vince Marotta’s research has focused on unpacking the nature of strangeness/otherness and his current project examines the ways in which non-human animals have been othered and constituted as strangers. In other words, to what extent can we use the idea of the stranger, which is a key concept in sociological thought to describe an encounter that is physically close but socially distant, to interpret human/non-human animal interactions? Can factory farming animals be constituted as strangers even though they are both physically and socially distant to many humans? Can a sense of strangeness still exists between ourselves and companion animals even though they are physically and socially close? Associate Professor Vince Marotta attempts to answer these questions by exploring the extent to which the stranger is a multi-species category. Katherine Calvert is a Sociology PhD Candidate interested in human/horse interactions. Her current research focuses on comparisons between riders and those who have ceased riding, and their conceptualisations of power, agency and resistance in their interactions with horses. She is interested in the question of whether different ontologies of the horse are constructed depending on type of use, training and ethology and if these disrupt or support the commodification and property status of horses. She is also interested in how sociology can centre other species as subject rather than object, by drawing on various methodologies from other disciplines, including behavioural science. Jacqui O’Leary is a Creative Writing PhD candidate exploring and writing short fictions accompanied by critical essays that centre on contemporary human–horse relations in Australia. Jacqui’s work joins the chorus of recent voices inviting re-consideration of horses as agential and idiosyncratic individuals who co-shape nuanced relationships and encounters with humans. The material to date is as entangled as the relationships enacted and storied. Anthropomorphism, as a careful form of character-driven narrative speculation, is in the mix. In this way, and others, horse individuality and subjectivity are foregrounded. Equestrianism emerges as a complex zone of fluid boundaries, co-constituted histories, asymmetric power configurations (no matter how distributed), and uncertain futures. This material hopes to provide dilated perspectives of equine selves saddled with our human-centric dreams and hyper-objectification for millennia. And takes seriously the question: what of horses’ dreams? Kate Hall teaches literary studies in the School of Communication and Creative Arts. This project combines research and creative practice, with the aim of producing a sustained work of fiction about the bioethics of xenotransplantation and its associated forms of animal abuse and exploitation. Xenotransplantation is the practice of using living animal organs, tissues and cells as medical transplants in human recipients. The gene editing technology known as CRISPR is currently being used to create human-pig hybrids, with embryos allowed to develop to 28 weeks before being killed. The fate of these so-called ‘chimeras’ is a particularly malign consequence of human exceptionalism. Ironically, though, because of scientific anxieties about the possibility of making transgenic animals more ‘human’, these non-human animals have the potential to destabilise the species boundary. The creative component of this research aims to uncover and disseminate, through a combination of research, creative writing and activism, concealed truths about the present and future abuse of non-human animals in biomedicine and other forms of consumption.